Child benefit changes - can the government's plan work? In the last week, the government has made some significant announcements about the tax and benefits systems. By 2013, child benefit will be withdrawn from households with a higher rate taxpayer. From 2013, out-of-work benefits will be capped at around median household income. By 2017, the majority of current working age benefits (including child benefit) will be subsumed in a single means-tested 'universal credit'. Alongside these projected changes, HMRC has been consulting on a reform of the PAYE system involving mechanisms that can deliver "real-time information". That means immediate responses to changes in the income and circumstances of employees and pensioners whose tax is collected through PAYE. Thereby the government hopes to increase the accuracy of PAYE assessment, and to make greater use of PAYE in administering the benefits system. On the surface these are simple, straightforward announcements, but the detailed implementation will be anything but simple. The Treasury press notice of 4 October 2010 states that child benefit will be withdrawn "from all households containing at least one higher rate taxpayer". The announcement did not say whether the withdrawal would be gradual, or immediate. If the latter, then taking this year's rates and thresholds, two individuals in a household, each earning £25,000, would retain their child benefit on a combined income of £50,000 per annum. However a single-earner household earning £50,000 a year would lose theirs. 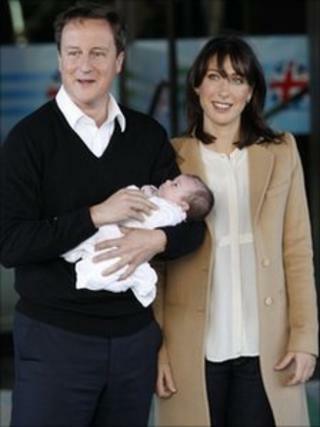 Worse, a couple, one of whom earns £45,000, the other nil, would lose child benefit. But a couple in which each member earns £43,000 - combined income £86,000 - would keep it, assuming neither couple has any income other than earnings. At the root of this apparent unfairness is a crucial and often irreconcilable difference between the tax and benefits systems. Tax liability is assessed on the individual, while benefits entitlement is assessed on joint income and circumstances of the couple, or household. It will be necessary to define the 'household' whose income is to be taken into account when deciding which families lose their benefit, and which keep it. At present there are no definitions of 'household' in either tax or child benefit law. And where the claiming unit is a couple, as in benefits and tax credits, defining who is a couple is no straightforward matter, particularly if separations take place gradually. Take, for example, a couple who split up. He may be a higher-rate taxpayer while she is carer of the children. When they part, she claims child benefit as she has little other income. But if the rules treated them as still part of the same household - perhaps they are not sufficiently permanently separated to satisfy the rules - she could lose her child benefit, or even have to pay back whatever she has received. Even more careful thought will be needed to decide on claims where a household is constituted some other way - for example, by a single mother and her mother. The 4 October Treasury press release said glibly: "HMRC will implement this policy [withdrawing child benefit from households with a higher rate taxpayer] through the existing PAYE and Self-Assessment structures." How? And what will the consequences be for individuals? Let us consider some scenarios. After the year-end, an earner is awarded a bonus which turns them, retrospectively, into a higher rate taxpayer. How will the child benefit that has been paid to the household throughout the year be recovered? Or a self-employed person does their accounts nine months after the year-end, and it transpires that they became a higher-rate taxpayer during that year. By that time they will have received nearly two years' worth of child benefit to which they now find they were not entitled. How do they pay it back? There are compatibility issues between the computer systems administering child benefit, PAYE and self-assessment. This will make it virtually impossible for HMRC to collate the necessary information, particularly if the higher-rate taxpayer in a household is not the same person as the benefit recipient. There are some parallels here with the children's tax credit. This was an allowance which was paid through the tax system in 2001-02 and 2002-03. This is not to be confused with the child tax credit which was then introduced in 2003. With the children's tax credit there were the same anomalies where the allowance was withdrawn from households with at least one higher-rate taxpayer. The consequences of PAYE error in administering the credit are still being worked through nearly a decade later. Policy makers should look closely at what lessons can be learned from the administration of children's tax credit, what worked well and what didn't, before the rules for withdrawal of child benefit are set in stone. One possibility might be to absorb child benefit into the recast child tax credit if, as seems likely, child benefit will, in time, end up within the new universal credit. And all of this is before we start to consider the problems that arise if there is an attempt to 'compensate' via a married allowance, or a transferable allowance.